When President Obama announced the Precision Medicine Initiative at the State of the Union in 2015, it recognized more than a decade of work that scientists and medical researchers had already committed to identifying the underlying genetic causes of diseases and specific pathways to treatment. To date, there have been measurable gains in the application of precision medicine approaches across a series of therapeutic areas, most notably oncology. While there have been significant gains against cancer, precision medicine has produced far less progress in the world’s biggest killer–cardiovascular disease. However, there is reason to believe that soon the treatment paradigm of cardiovascular disease will begin to adopt a focus on highly individualized variables. The term “precision medicine” has become a bit of a broad catch phrase, but at its core, it is the application of information about an individual's genes, their expression as proteins, and an environment to prevent, diagnose, and treat disease. In drug discovery, precision medicine is the application of an in-depth understanding of the homogeneity and heterogeneity of a given condition and patient population. In understanding the unifying characteristics underlying disease, targeted therapeutics can be discovered and developed. This approach has been most widely and successfully utilized in oncology where tumors now regularly receive in-depth analysis to characterize their origins and genetic profile before a course of treatment is recommended. The approvals of pembrolizumab (Keytruda) for patients with solid tumors that share certain genetic defects, regardless of tumor location, or tisagenlecleucel (Kymriah), a CAR-T cell treatment that uses individual patients’ genetically modified T-cells to target and kill leukemia cells, are two noteworthy examples of the strides that have been made in precision medicine treatments for oncology. Cardiology has been slower to pursue precision medicine treatments, largely because cardiologists have mostly focused thus far on modifying environmental factors that lead to coronary and peripheral arterial disease, such as smoking, obesity, and lack of physical activity, to give a few examples. These modifiable risk factors have been identified through large population-based registries and have been fruitful in achieving some reduction in cardiovascular morbidity and mortality. However, the need for innovative heart disease treatments remains critical. Cardiovascular disease remains the world’s biggest killer, and yet only two percent of the breakthrough designations granted by the FDA in 2017 were for drugs intended to treat cardiovascular or renal disease, compared to nearly 30 percent in oncology and another 20 percent in hematology. This may be about to change, in large part because the incentive is already there. Application of precision medicine approaches results in well-defined patient subgroups, identification of molecular targets associated with the underpinnings of disease and biomarkers that can measure effect on the target earlier on in development. This in turn makes it easier for biotechnology and pharmaceutical companies to pursue cardiovascular drug development in a targeted way where clinical trials may only need hundreds of patients rather than thousands to demonstrate safety and efficacy within a specific subgroup. The industry is already collaborating on a few solutions. Just last year, the American Heart Association opened their Precision Medicine Platform for use, allowing researchers and physicians from around the world to analyze huge quantities of cardiovascular data from institutions, including Cedars-Sinai Heart Institute, Duke Clinical Research Institute, and Stanford University. Genetic cardiovascular diseases, such as hypertrophic, restrictive, and dilated cardiomyopathies, inherited heart rhythm disorders such as LongQT and Brugada syndromes, familial hyperlipidemia, and inherited conditions that cause vascular disease such as Marfan’s syndrome, have been the initial targets of industry-academic collaborations to achieve novel breakthroughs in diagnosis and treatment. Cardiomyopathies, with their reasonably well established genetic factors, provide a case study for such research. For example, one of the first approaches to gene editing as a medical therapeutic is being developed at Oregon Health Sciences University for the treatment of hypertrophic cardiomyopathy. Another example of an industry-academic collaboration is the Sarcomeric Human Cardiomyopathy Registry (SHaRe), an international repository of clinical and laboratory data from investigators at centers all over the world committed to gaining a better understanding of the genetic underpinnings, commonalties and differences among cardiomyopathy patients. 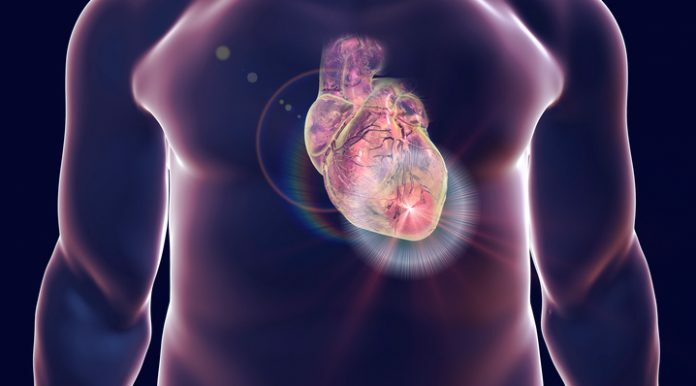 Efforts like these advance the science of precision medicine against specific heart conditions, but they also serve as a blueprint so that other cardiovascular diseases can be approached and treated effectively. As with any major change in the practice of medicine, precision medicine will have to build slowly towards relevance in the field of cardiology. But the astounding promise of recent gains in other therapeutic areas underscores the potential associated with identifying subgroups of patients who can benefit from a targeted treatment. In cardiovascular disease, precision medicine may result in much-needed innovation in the field and has the potential to eventually change the way we treat heart diseases altogether. Marc Semigran, M.D., is the chief medical officer for MyoKardia. Previously, he led the Massachusetts General Hospital Heart Failure and Cardiac Transplant Program as section head and medical director. Dr. Semigran was a member of the internal medicine and cardiology staff of Massachusetts General for more than 25 years and is an associate professor at Harvard Medical School, where he also earned his A.B., A.M. and M.D. degrees.